The elegance and passion of Spain’s dance, music and culture is showcased by Ensemble Español Spanish Dance Theater, in Residence at Northeastern Illinois University, with their annual American Spanish Dance & Music Festival. 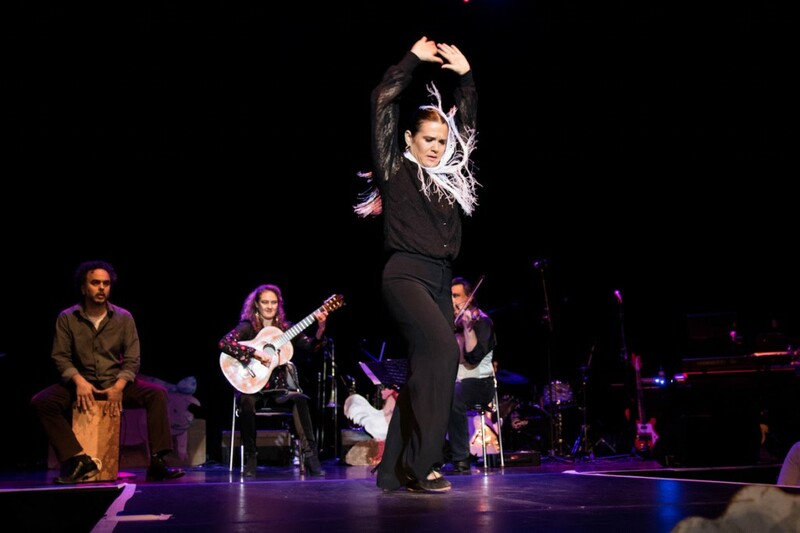 The Festival kicks off with three crowd-pleasing “Flamenco Passion” live music and dance performances which include a tribute to Jose Greco’s 100th birthday anniversary with performances by Mr. Greco’s children, Carmela, Jose and Lola Greco. This tribute is directed by Juan Mata, founding member of the National Ballet of Spain and former dancer with the Jose Greco Spanish Dance Company. Mr. Jose Greco was Dame Libby’s first Spanish dance teacher, director and mentor. 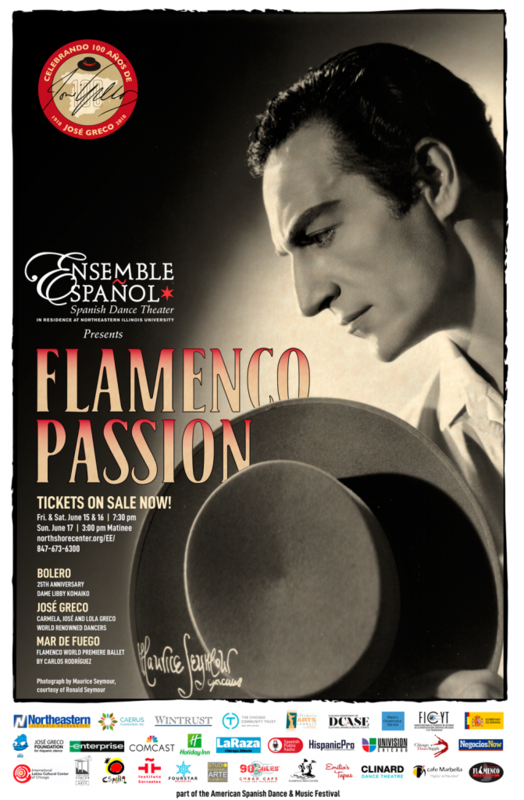 The concerts will open with the world premiere ballet by Carlos Rodriguez, “Mar de Fuego (Sea of Fire)” honoring Dame Libby in the Flamenco contemporary style. The Ensemble Español’s critically acclaimed “Bolero” will close each concert. The New York Times observed how Bolero, choreographed by Dame Libby “wowed the audience…amazing,” in its review of Ensemble Español’s January 2018 performances at the Joyce Theater in Manhattan . “Bolero” marks its 25th anniversary this year. Guest musicians for this year’s festival include Flamenco singer Paco Fonta, guitarists, Antonio Gabarri Jimenez and Marija Temo and percussionist, Javier Saume Mazzei. Location: Clinard Dance 1839 S.Carpenter. Fee: $45 each or $80 for both. 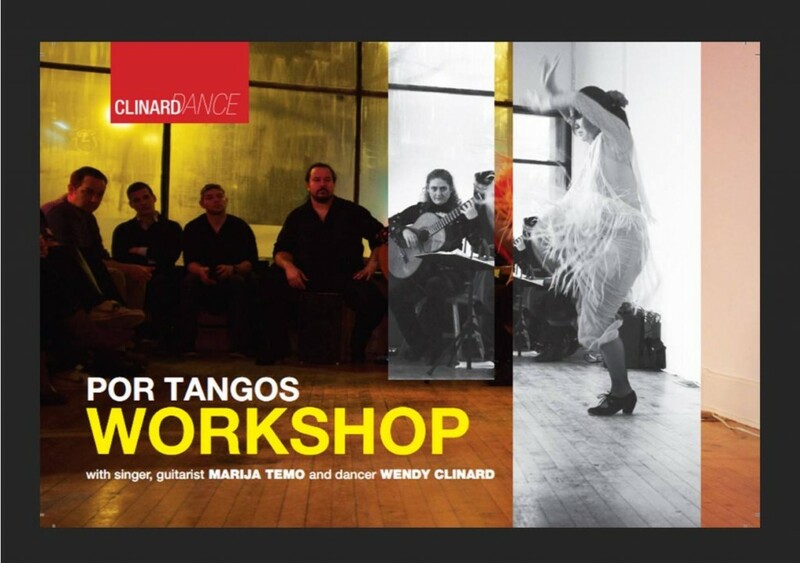 Guitarists, singers and dancers are encouraged to bring their remates, respiros, marking steps, salidas, estribillos and escobillas to class to deepen their understanding of the Tangos structure. 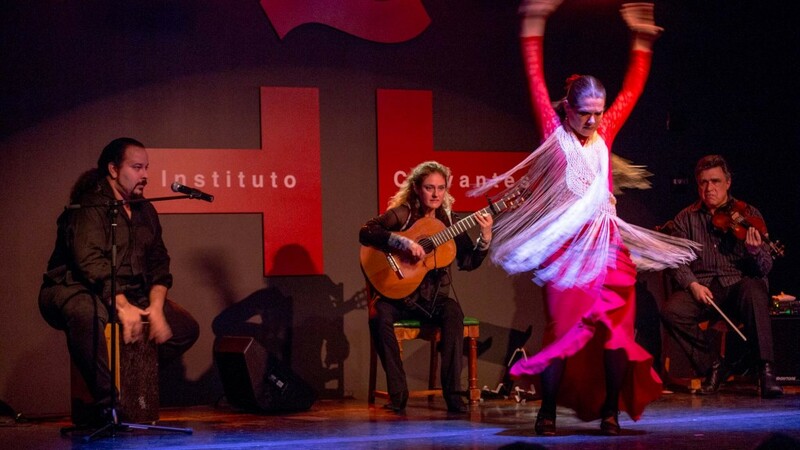 Students will have a chance to work with each other live in the class or attend as an observer only to glean a better understanding of how the parts (singing, dance and guitar) make a whole in flamenco. All levels welcome.